Life requires us to step into unknown situations to succeed. Resilience is particularly important in the STEM fields. 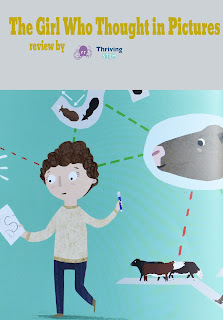 I'm always on the look out for new ways to introduce my children to science, and to role models of resilience, so we were excited to receive a free copy of "The Girl Who Thought in Pictures" , Dr. Temple Grandin's biography by Julia Finley Mosca to review. As a child Temple Grandin struggled to deal with new situations. Her classmates treated her as weird, and even some teachers called her hopeless. 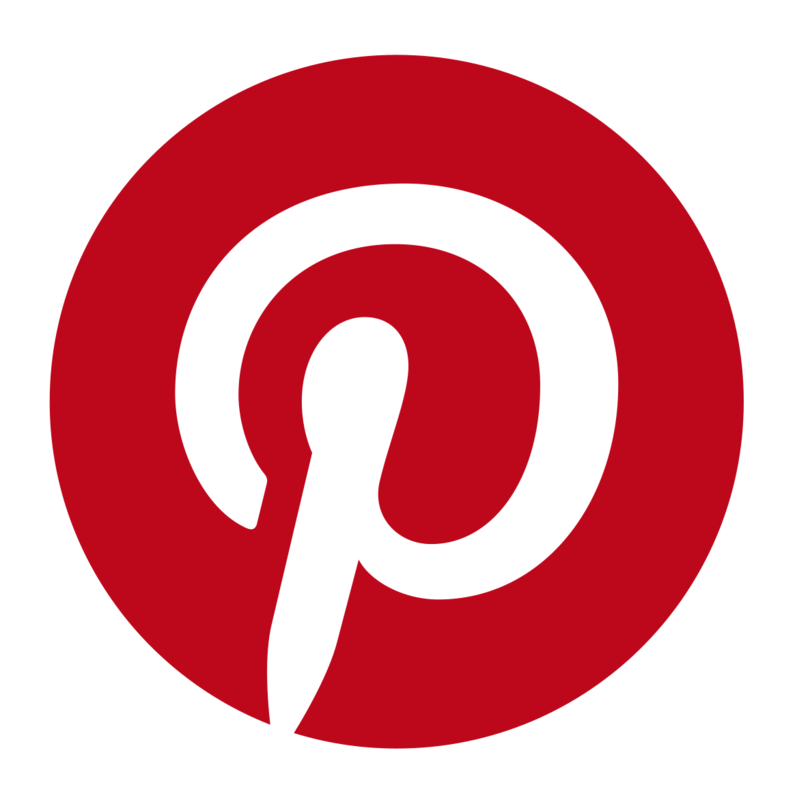 However, Temple's mother and aunt refused to give up. Finally one teacher saw her true potential--in science. 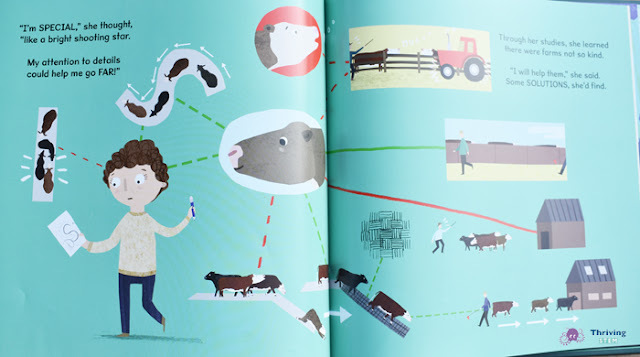 Dr. Grandin went on to become a leading expert on best practices in handling farm animals. My three-year-old loved listening to her older brother read this book to her. My seven and nine-year-olds were the most interested in this book. They both found the story line intriguing. My nine-year-old said that he felt that he really identified with Dr. Grandin because they both love to watch animals. They also both enjoy inventing new things. The story features beautiful imagery of Dr. Grandin passing through doors as she navigates each change in her life. 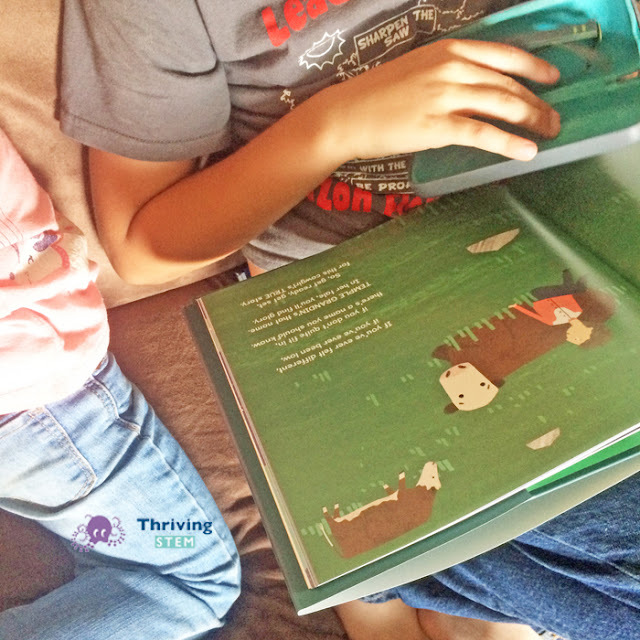 It's a great way to subtly encourage risk taking in young readers. I was impressed by the way the author discussed Dr, Grandin's failures as well as her successes. 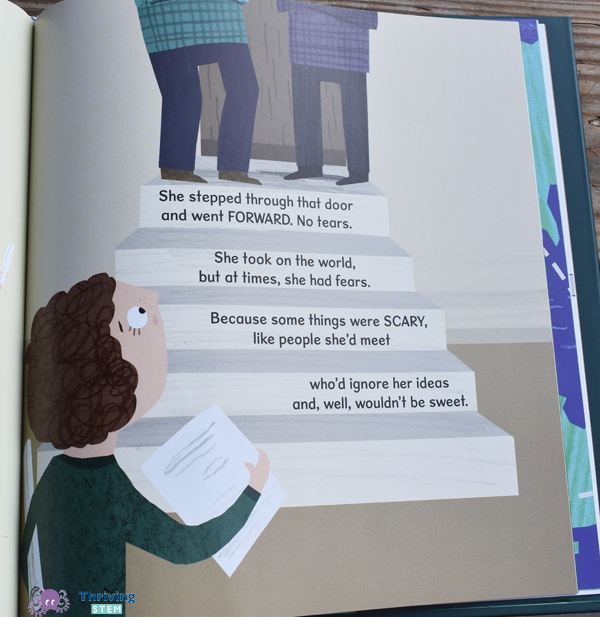 Studies show that in order to succeed in science, students need to normalize risk taking and failure, and "The Girl Who Thought in Pictures" helps them do that. Dr. Grandin happens to have Autism. As you read this book, Autism just becomes another way of seeing the world, and you become as aware of Autism's strengths as well as its weaknesses. Temple becomes a kid just like you, with likes, dislikes, and dreams. 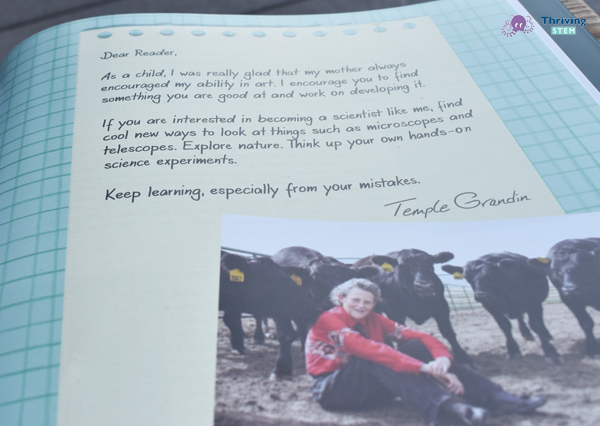 A special bonus at the end is a letter written by Dr. Grandin herself, giving thoughtful advice to the next generation of scientists. We would recommend this book for readers first grade and older who are interested in animals, are interested in careers in science, or who find themselves struggling to adjust to a new situation. This book might be the tool that helps them step through the door to success. Thank you! Yes, I am grateful that things are changing for the better, I hope they change even more in my children's generation.